If you're looking forward to buying a first-hand house on the southeast coast of Spain and you do not know what agency can offer it, come to Casas Espania. 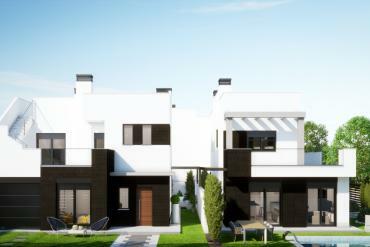 We offer you incredible new build villas for sale in Los Alcazares - Costa Calida so you can fulfill the dream you've always had of opening a new home. But the good thing is that they are not just any housing. 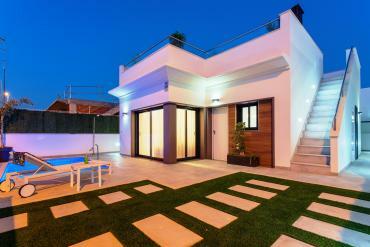 Our properties are of high quality and are arranged with modern and elegant materials. 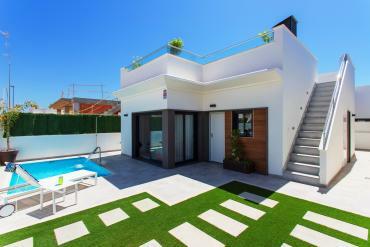 Being able to enjoy a newly built villa in Los Alcazares are all advantages. In the first place, this type of property brings with it a quantity of habitable meters, enough to avoid problems of space and coexistence. So, if you want to share your purchase with the rest of the family, you will not have to worry about this issue. Then there is the point of weather. 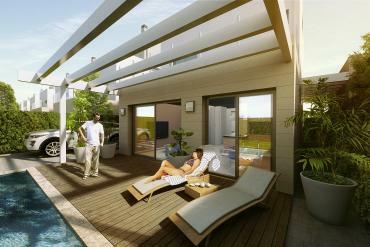 Our new construction villas are located in a city that enjoys incredible weather. A perfect place to live in any month of the year. So if your intention is to enjoy your vacation or your retirement, in our newly built properties on the Costa Calida, you can do it. 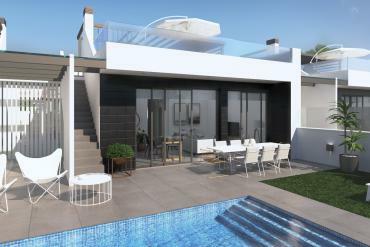 Another of the multiple qualities that our new build villas for sale in Los Alcazares - Costa Calida have, are their sea views. 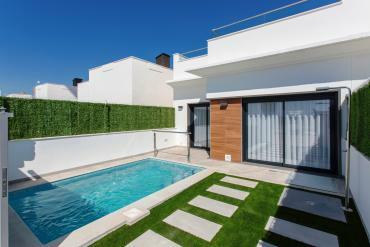 Thanks to being located in a maritime city, from your new home you can enjoy a unique coastal landscape. 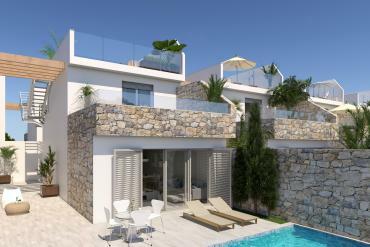 Its proximity to the sea will give you the possibility to also quickly move to its beaches. Enjoy its pristine sands and transparent waters whenever you want. Do not worry about walking a lot or traveling several kilometers. In less than you think, you will be enjoying the beaches of Los Alcazares. Visit us at Avenida de la Libertad 102, Los Alcazares, Murcia, Spain.